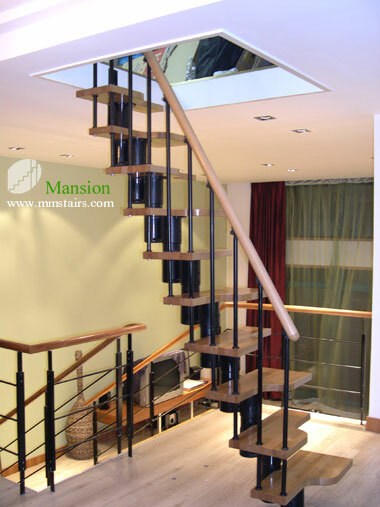 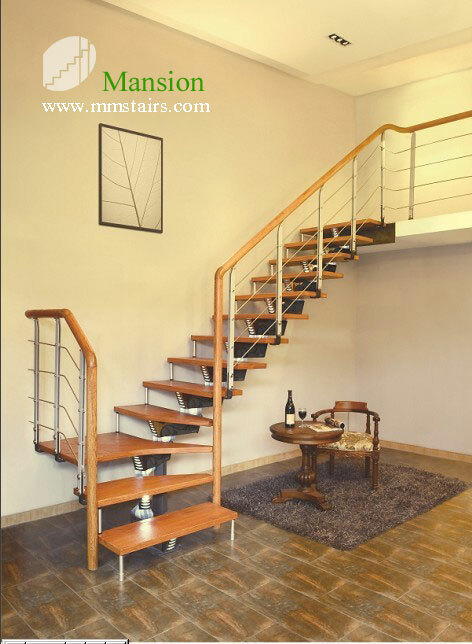 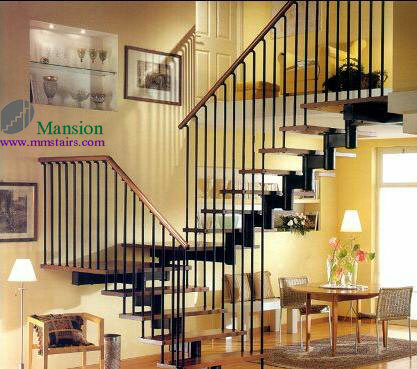 Mono stringer stairs (central beam stairs) is the simplest stairs design except cantilever stairs, which need housed stringer. 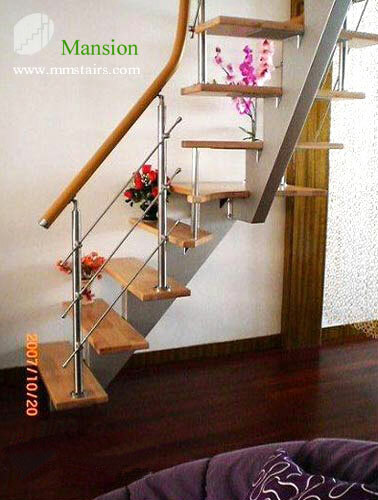 It brings the least budget on stairs and neatest looking & feeling. 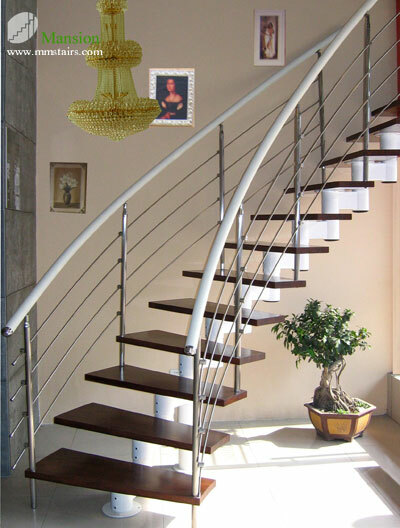 Nevertheless, the mono stringer staircase does not compromise on range of application. 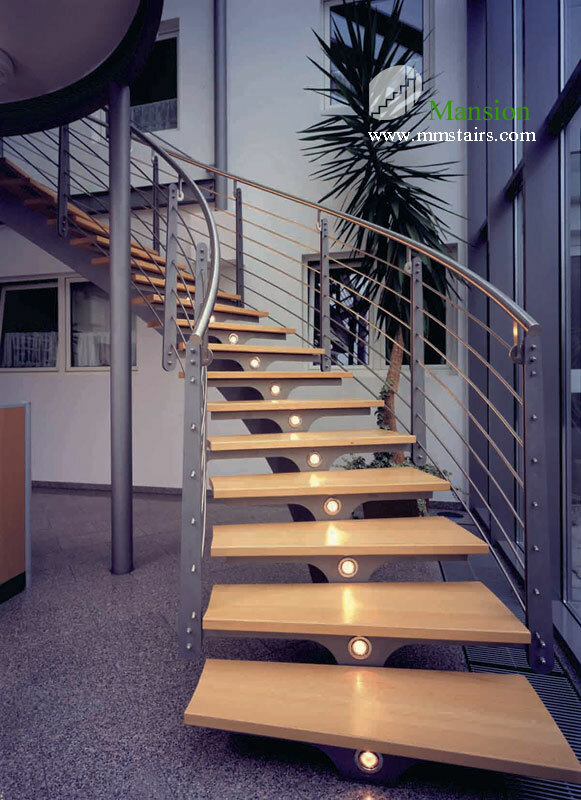 It even can be easier to be made into different shape layout. 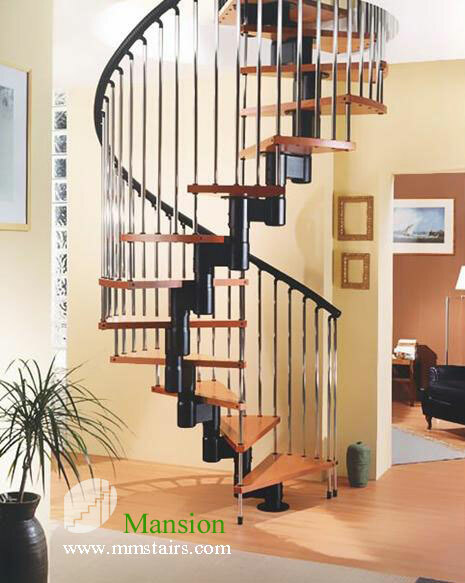 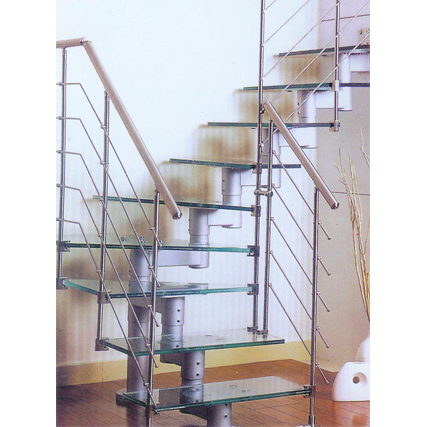 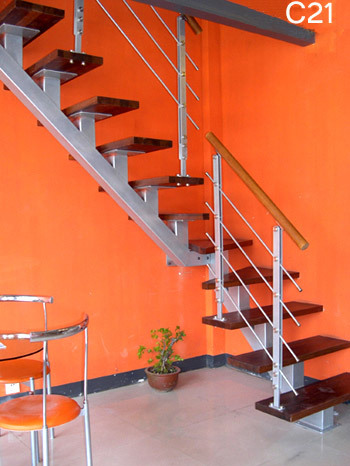 Spiral stairs with R series design. 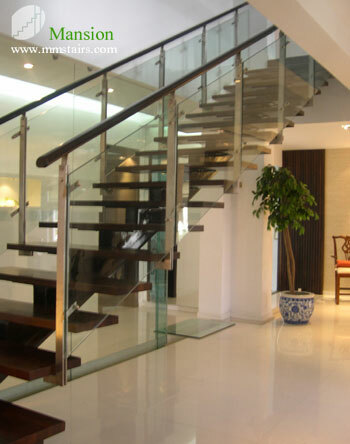 And the central stringer staircase can also go with Glass treads and Wood treads. 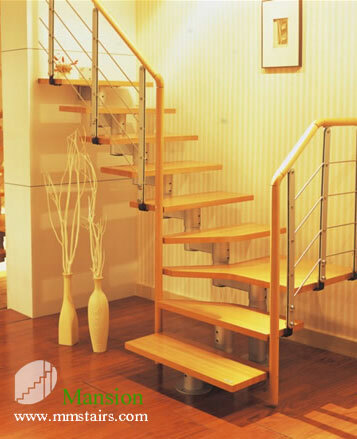 The mono stringer staircase we make include C series, F series, R series. 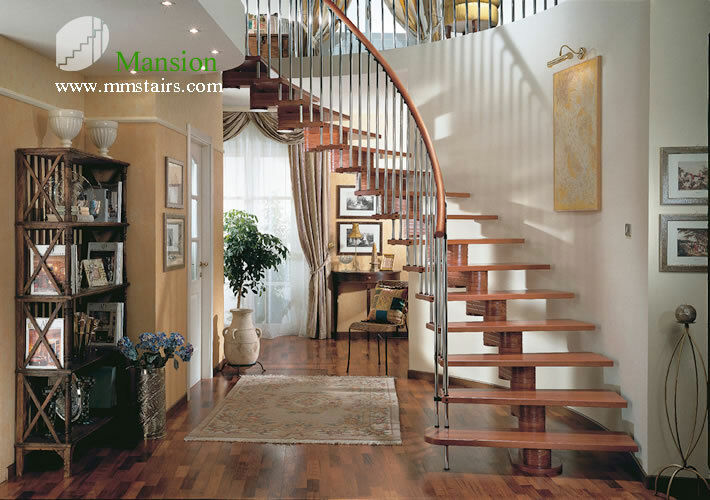 Central beam of C and F series stairs is one whole piece each flight. 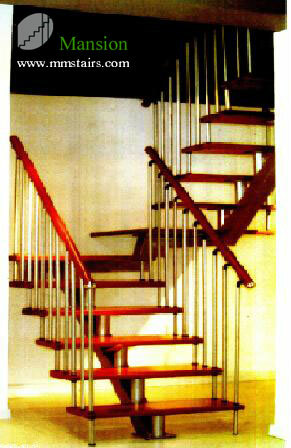 Central stringer of R series is modular kits (metal sleeves).